The U.S. Senate narrowly passed the Republican Party’s controversial tax reform bill on Friday, which could have serious consequences for future graduate students considering that the U.S. House of Representatives’ version of the proposal contains provisions that might dissuade students from pursuing a graduate degree. 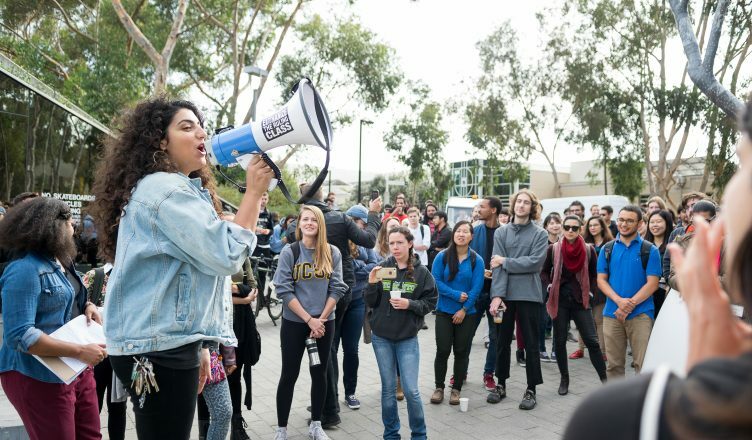 While the final version of the bill has yet to be decided on, a coalition of advocates at UC San Diego is working to combat the potentially negative effects the bill might have on students seeking to further their higher education. The Senate’s version of the bill marks the latest development in a series of widely contested provisions. The earlier House version contained policies that would directly impact college students’ ability to finance their education. Major items under debate in the proposal, which will be voted on again once the House’s and the Senate’s versions of the plan are reconciled in one final bill, include the taxing of tuition fees and the elimination of tax deductions. Tuition waivers would count as taxable income and students would no longer be able to deduct the accruing interest rates from student loans when filing taxes. Different groups and leaders at UCSD are also speaking out against the tax proposal. This past Wednesday the UC Student-Workers Union (UAW Local 2865) held a graduate student walk-out on Library Walk in protest of the bill’s effects on students, where the prompt, “As a student worker I (we) …” appeared throughout photographs of students on social media documenting the event. Graduate student in the Physics department Angela Berti and the Stewards of the Student-Workers Union collectively commented on the importance of demonstrating opposition to the bill. Among the most severe changes is the removal of Section 117d of the tax code which would repeal tuition and fee waivers for graduate students, making them count as taxable income. Kimberly McCabe, the vice president of external affairs for the UCSD Graduate Student Association explained this process to the Guardian. McCabe noted that graduate students already jump through financial hurdles with stipends ranging from about $13,000 to $33,000 per year. Under the new tax plan, waived tuition fees would be included with the stipend as taxable income; for example, if a student receives a $13,000 stipend and a $16,500 tuition waiver, they will be taxed like they’re being paid $29,500. Doctoral students would bear the heaviest toll because they spend the bulk of their time conducting research and not in classrooms, McCabe explained. Overall, McCabe believes that the tax plan will only further restrict access to higher education. However, McCabe asserted that with the most detrimental aspects being excluded from the bill’s version passed in the Senate, the GSA will remain vigilant and is “cautiously optimistic” on how dissenting popular opinion and political engagement will resonate within the bill’s final version. According to Dean of the UCSD Graduate Division Kit Pogliano, the university is exploring options for helping graduate students should the bill pass with the provisions that affect them. Pogliano also spoke out on the University of California’s efforts to propelling a UC Advocacy Network call-to-action campaign around tax reform. Continuing their efforts against the tax plan, GSA will be holding phone banks for graduate students to lobby their local representatives on Dec. 6. Located in the GSA office on the fourth floor of Price Center, they will be providing call scripts, training for first-time callers, and statistics about the impacts of this bill on UC students.